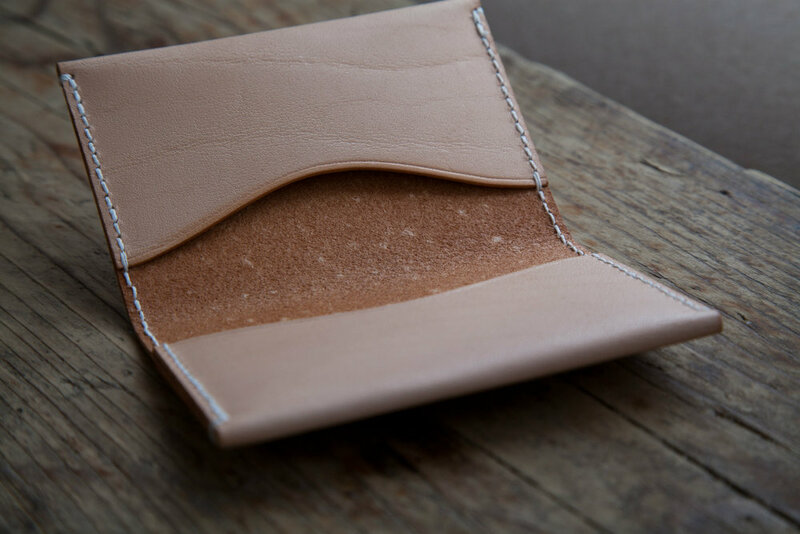 This leather card holder is hand made in London. The natural vegetable tanned leather will darken with use and gain a rich patina. 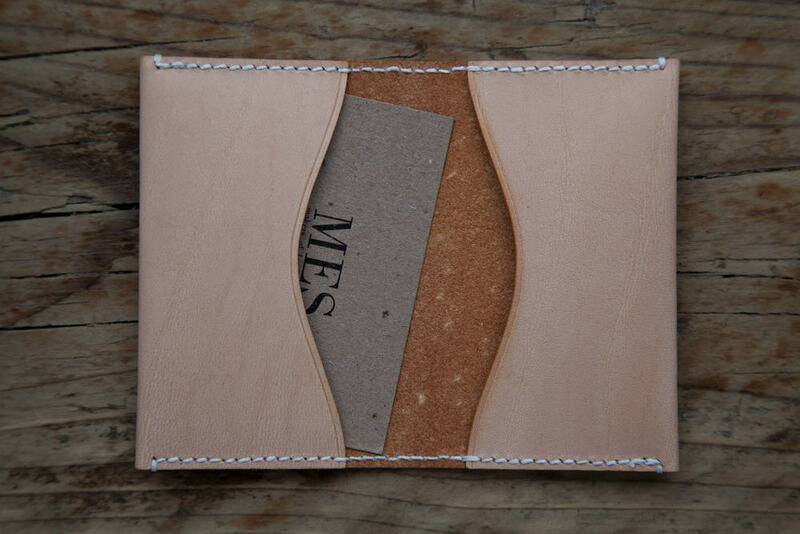 The holder is stitched with a beeswaxed linen thread in a hand stitch superior to a machine. Its two compartments will securely hold bank, travel, and business cards.